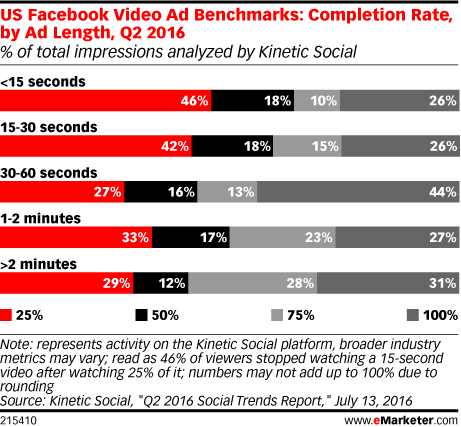 Data is from the July 2016 Kinetic Social "Q2 2016 Social Trends Report." Data is based on 2 billion social ad impressions measured during Q2 2016. Data includes ad spending for all ad types on Facebook, Instagram, Pinterest and Twitter, across both desktop and mobile devices. More than 90% of Kinetic Social's clients are from the US. Kinetic Social is a programmatic social media platform that delivers paid social ads.